Competition in the budget segment of the smartphone industry is growing like hell. And the Huawei subbrand Honor is making it tougher. Recently Honor launched the Honor Play with Kirin 970, a flagship Soc. We have the Poco F1 to compete with it. So the direct competition is actually between Honor and Xiaomi. Let’s not talk about competition as we can keep on and on about it. 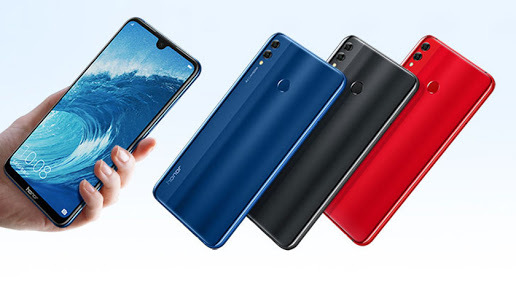 Recently Honor has launched the Honor 8x and 8x Max in China. And they are surely going to launch it in India as well within a month or two. Top highlights are they have waterdrop notch on Honor 8x Max and is powered by Snapdragon 636 processor. However, the Honor 8x runs on kirin 710 Soc. These smartphones have Dolby Atmos sound with stereo speakers. The Honor 8x has three variants with 4 GB Ram 64 GB Storage, 6 GB Ram 64 GB storage and 6 GB Ram & 128 GB internal storage. Pricing set for three variants is CNY 1399, CNY 1599 and CNY 1899 respectively in China. If we convert thee prices to INR we get Rs 14700, Rs 16800 and Rs 20000 respectively for all the three variants. The phone is already available in China through Vmall, Tmall, Suning, and Jingdong. The Honor 8x has a 6.5 inches full HD+ TFT IPS Display with the resolution of 1080×2340 pixels. It is an 18.7:9 panel giving us the pixel density of 397 PPI. It runs on EMUI 8.2.0 along with Android 8.1 Oreo. Coming to the hardware part, the Honor 8x runs on Octa Core HiSilicon Kirin 710 Soc. There are two Ram options 4 GB and 6 GB coupled with two Storage variants viz 64 GB and 128 GB which is expandable via micro SD card. Honor 8x is powered by a 3750 mah battery. The smartphone Honor 8x has Duar Rear cameras in the back. The primary sensor is of 20 megapixel and a 2 Megapixel secondary sensor with a f/1.8 aperture. It has an LED flash in the back too. There is a 16 Megapixel camera in the front with f/2.0 aperture. 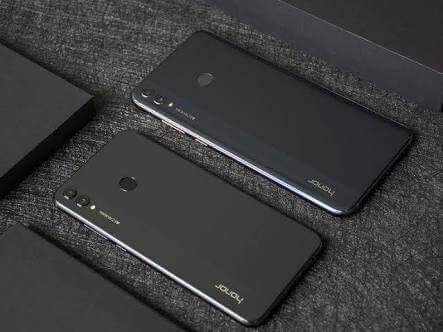 Connectivity options include Dual nano sim, 4G VoLTE, Wi-Fi 802.11 a/b/g/n/ac, Bluetooth v4.2, GPS/ A-GPS, Micro-USB, and a 3.5mm headphone jack. The phone has sensors like ambient light sensor, compass, fingerprint sensor, gravity sensor, gyroscope, and a proximity sensor. The Honor 8x Max has two Storage options viz 64 GB and 128 GB. Both the options have 4 GB of RAM. The pricing set is CNY 1499 and CNY 1799 respectively. If we convert them into INR the pricing approximately is Rs 15700 and Rs 19000 respectively. The phone is available in China for sale on the same platforms as Honor 8x. 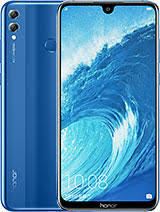 The Honor 8x Max has a 7.12 inches full HD+ Display with the resolution of 1080×2244 pixels. It is a 19.5:9 aspect ratio TFT IPS panel having 72 Percent NTSC color and 350 PPI pixel density. It has EMUI 8.2.0 running inside on top of Android 8.1 Oreo. The phone is powered by a Qualcomm Snapdragon 636 Soc coupled with 4 GB of Ram. Thee are two storage options 64 GB and 128 GB which is expandable via micro SD card. It has massive 5000 mah battery powering the phone. There is a dual rear camera set up in the back. It has a 16-megapixel primary camera with f/2.0 aperture and a 2 Megapixel secondary camera with f/2.4 aperture. In the front, there is 8 Megapixel camera with f/2.0 aperture. Connectivity options include dual nano sim, 4G VoLTE, Wi-Fi 802.11ac, Bluetooth v4.2, GPS/ A-GPS, a 3.5mm headphone jack, and Micro-USB. These are budget segment smartphones by Honor and successor to the Honor 7x. We don’t know about the Indian pricing and launch date but it has to be launch before the end of October. And the price shall be somewhere around 14000 to 15000. Because Honor does not discriminate between Price in China and India. Its great to see Honor giving tough competition to Xiaomi in the budget segment. 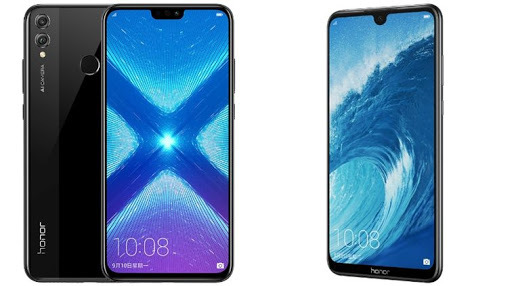 The Honor 8x has an iPhone X like Notch on top whereas the Honor 8x Max has a waterdrop notch. The battery capacity is 5000 mah on Honor 8x Max giving 2 days battery life and the chipset here is Snapdragon 636. We have seen the same processor on Redmi Note 5 Pro and Asus Zenfone Max Pro M1. All in all both the phones are great if they launch at the same price in China.